SOURCE: Originally published in The Willow Review. 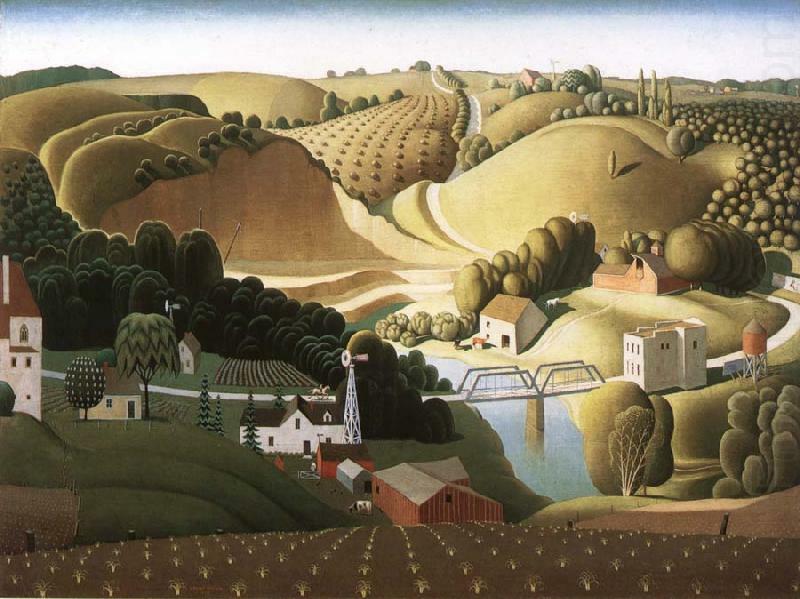 IMAGE: “Stone City, Iowa” by Grant Wood (1930). ABOUT THE AUTHOR: Suzanne O’Connell lives in Los Angeles where she is a poet and a clinical social worker. Her work can be found in Forge, Atlanta Review, Blue Lake Review, G.W. Review, Reed Magazine, Permafrost, Mas Tequila Review, The Round, The Griffin, Sanskrit, Foliate Oak, Talking River, Organs of Vision and Speech Literary Magazine, Willow Review, The Tower Journal, Thin Air Magazine, Fre&d, The Manhattanville Review, poeticdiversity, The Evansville Review, Serving House Journal, Silver Birch Press, Schuylkill Valley Journal, and Licking River Review. She was a recipient of Willow Review’s annual award for 2014 for the poem “Purple Summers.” She is a member of Jack Grapes’ L.A. Poets and Writers Collective.